EPA 29 MPG Hwy/21 MPG City! Bluetooth, iPod/MP3 Input, DRIVER ASSISTANCE PACKAGE, Aluminum Wheels, Turbo Charged, Back-Up Camera, All Wheel Drive.WHY BUY FROM USHere at Baxter Volkswagen Omaha, our commitment to our customers goes far beyond your initial vehicle purchase. We don't want you to just have a great buying experience at our Volkswagen dealership in Omaha, NE, we want to provide you with all that you need to have a wonderful life with your new car.OPTION PACKAGESDRIVER ASSISTANCE PACKAGE Blind Spot Monitor w/Rear Traffic Alert, Forward Collision Warning, autonomous emergency braking w/pedestrian monitoring (front assist).Fuel economy calculations based on original manufacturer data for trim engine configuration. 3rd Row Seat, iPod/MP3 Input, Bluetooth, 3RD ROW SEAT PACKAGE, Alloy Wheels, Turbo, Back-Up Camera, All Wheel Drive. EPA 29 MPG Hwy/21 MPG City!WHY BUY FROM USHere at Baxter Volkswagen Omaha, our commitment to our customers goes far beyond your initial vehicle purchase. We don't want you to just have a great buying experience at our Volkswagen dealership in Omaha, NE, we want to provide you with all that you need to have a wonderful life with your new car.OPTION PACKAGES3RD ROW SEAT PACKAGE 50/50 split fold-flat, 2-passenger, 3rd row bench seat w/armrest.Fuel economy calculations based on original manufacturer data for trim engine configuration. Bluetooth, iPod/MP3 Input, DRIVER ASSISTANCE PACKAGE, Aluminum Wheels, Turbo Charged Engine, Back-Up Camera, All Wheel Drive. FUEL EFFICIENT 29 MPG Hwy/21 MPG City!WHY BUY FROM USHere at Baxter Volkswagen Omaha, our commitment to our customers goes far beyond your initial vehicle purchase. We don't want you to just have a great buying experience at our Volkswagen dealership in Omaha, NE, we want to provide you with all that you need to have a wonderful life with your new car.OPTION PACKAGESDRIVER ASSISTANCE PACKAGE Blind Spot Monitor w/Rear Traffic Alert, Forward Collision Warning, autonomous emergency braking w/pedestrian monitoring (front assist).Fuel economy calculations based on original manufacturer data for trim engine configuration. Bluetooth, iPod/MP3 Input, DRIVER ASSISTANCE PACKAGE, Alloy Wheels, Turbo Charged, Back-Up Camera, All Wheel Drive. EPA 29 MPG Hwy/21 MPG City!WHY BUY FROM USHere at Baxter Volkswagen Omaha, our commitment to our customers goes far beyond your initial vehicle purchase. We don't want you to just have a great buying experience at our Volkswagen dealership in Omaha, NE, we want to provide you with all that you need to have a wonderful life with your new car.OPTION PACKAGESDRIVER ASSISTANCE PACKAGE Blind Spot Monitor w/Rear Traffic Alert, Forward Collision Warning, autonomous emergency braking w/pedestrian monitoring (front assist).Fuel economy calculations based on original manufacturer data for trim engine configuration. 3rd Row Seat, iPod/MP3 Input, Bluetooth, Alloy Wheels, DRIVER ASSISTANCE PACKAGE, 3RD ROW SEAT PACKAGE, Back-Up Camera, All Wheel Drive, Turbo. FUEL EFFICIENT 29 MPG Hwy/21 MPG City!WHY BUY FROM USHere at Baxter Volkswagen Omaha, our commitment to our customers goes far beyond your initial vehicle purchase. We don't want you to just have a great buying experience at our Volkswagen dealership in Omaha, NE, we want to provide you with all that you need to have a wonderful life with your new car.OPTION PACKAGES3RD ROW SEAT PACKAGE 50/50 split fold-flat, 2-passenger, 3rd row bench seat w/armrest, DRIVER ASSISTANCE PACKAGE Blind Spot Monitor w/Rear Traffic Alert, Forward Collision Warning, autonomous emergency braking w/pedestrian monitoring (front assist).Fuel economy calculations based on original manufacturer data for trim engine configuration. Heated Seats, Third Row Seat, VW CARE, Aluminum Wheels, Turbo Charged Engine, Satellite Radio, Back-Up Camera. 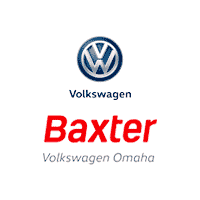 FUEL EFFICIENT 29 MPG Hwy/22 MPG City!WHY BUY FROM USHere at Baxter Volkswagen Omaha, our commitment to our customers goes far beyond your initial vehicle purchase. We don't want you to just have a great buying experience at our Volkswagen dealership in Omaha, NE, we want to provide you with all that you need to have a wonderful life with your new car.OPTION PACKAGESVW CARE Volkswagen prepaid scheduled maintenance contract w/10,000-mile and 20,000-mile servicing for SUVs.Fuel economy calculations based on original manufacturer data for trim engine configuration. Third Row Seat, iPod/MP3 Input, Bluetooth, Aluminum Wheels, DRIVER ASSISTANCE PACKAGE, 3RD ROW SEAT PACKAGE, Back-Up Camera, All Wheel Drive, Turbo Charged. FUEL EFFICIENT 29 MPG Hwy/21 MPG City!WHY BUY FROM USHere at Baxter Volkswagen Omaha, our commitment to our customers goes far beyond your initial vehicle purchase. We don't want you to just have a great buying experience at our Volkswagen dealership in Omaha, NE, we want to provide you with all that you need to have a wonderful life with your new car.OPTION PACKAGES3RD ROW SEAT PACKAGE 50/50 split fold-flat, 2-passenger, 3rd row bench seat w/armrest, DRIVER ASSISTANCE PACKAGE Blind Spot Monitor w/Rear Traffic Alert, Forward Collision Warning, autonomous emergency braking w/pedestrian monitoring (front assist).Fuel economy calculations based on original manufacturer data for trim engine configuration. Third Row Seat, iPod/MP3 Input, Bluetooth, Aluminum Wheels, DRIVER ASSISTANCE PACKAGE, 3RD ROW SEAT PACKAGE, Back-Up Camera, All Wheel Drive, Turbo Charged. EPA 29 MPG Hwy/21 MPG City!WHY BUY FROM USHere at Baxter Volkswagen Omaha, our commitment to our customers goes far beyond your initial vehicle purchase. We don't want you to just have a great buying experience at our Volkswagen dealership in Omaha, NE, we want to provide you with all that you need to have a wonderful life with your new car.OPTION PACKAGES3RD ROW SEAT PACKAGE 50/50 split fold-flat, 2-passenger, 3rd row bench seat w/armrest, DRIVER ASSISTANCE PACKAGE Blind Spot Monitor w/Rear Traffic Alert, Forward Collision Warning, autonomous emergency braking w/pedestrian monitoring (front assist).Fuel economy calculations based on original manufacturer data for trim engine configuration. Heated Seats, Alloy Wheels, Turbo, All Wheel Drive, Back-Up Camera, Satellite Radio. EPA 29 MPG Hwy/21 MPG City!WHY BUY FROM USHere at Baxter Volkswagen Omaha, our commitment to our customers goes far beyond your initial vehicle purchase. We don't want you to just have a great buying experience at our Volkswagen dealership in Omaha, NE, we want to provide you with all that you need to have a wonderful life with your new car.Fuel economy calculations based on original manufacturer data for trim engine configuration. Heated Seats, Turbo, All Wheel Drive, Back-Up Camera, Alloy Wheels, Satellite Radio. FUEL EFFICIENT 29 MPG Hwy/21 MPG City!WHY BUY FROM USHere at Baxter Volkswagen Omaha, our commitment to our customers goes far beyond your initial vehicle purchase. We don't want you to just have a great buying experience at our Volkswagen dealership in Omaha, NE, we want to provide you with all that you need to have a wonderful life with your new car.Fuel economy calculations based on original manufacturer data for trim engine configuration. Heated Seats, Aluminum Wheels, Turbo Charged Engine, All Wheel Drive, Satellite Radio, Back-Up Camera. FUEL EFFICIENT 29 MPG Hwy/21 MPG City!WHY BUY FROM USHere at Baxter Volkswagen Omaha, our commitment to our customers goes far beyond your initial vehicle purchase. We don't want you to just have a great buying experience at our Volkswagen dealership in Omaha, NE, we want to provide you with all that you need to have a wonderful life with your new car.Fuel economy calculations based on original manufacturer data for trim engine configuration. Heated Seats, Aluminum Wheels, Turbo Charged Engine, All Wheel Drive, Back-Up Camera, Satellite Radio. FUEL EFFICIENT 29 MPG Hwy/21 MPG City!WHY BUY FROM USHere at Baxter Volkswagen Omaha, our commitment to our customers goes far beyond your initial vehicle purchase. We don't want you to just have a great buying experience at our Volkswagen dealership in Omaha, NE, we want to provide you with all that you need to have a wonderful life with your new car.Fuel economy calculations based on original manufacturer data for trim engine configuration. Heated Seats, Back-Up Camera, Alloy Wheels, All Wheel Drive, Satellite Radio, Turbo Charged. EPA 29 MPG Hwy/21 MPG City!WHY BUY FROM USHere at Baxter Volkswagen Omaha, our commitment to our customers goes far beyond your initial vehicle purchase. We don't want you to just have a great buying experience at our Volkswagen dealership in Omaha, NE, we want to provide you with all that you need to have a wonderful life with your new car.Fuel economy calculations based on original manufacturer data for trim engine configuration. Heated Seats, Alloy Wheels, Turbo, All Wheel Drive, Satellite Radio, Back-Up Camera. FUEL EFFICIENT 29 MPG Hwy/21 MPG City!WHY BUY FROM USHere at Baxter Volkswagen Omaha, our commitment to our customers goes far beyond your initial vehicle purchase. We don't want you to just have a great buying experience at our Volkswagen dealership in Omaha, NE, we want to provide you with all that you need to have a wonderful life with your new car.Fuel economy calculations based on original manufacturer data for trim engine configuration. Heated Seats, Satellite Radio, VW CARE, Aluminum Wheels, Turbo Charged Engine, Back-Up Camera, All Wheel Drive. EPA 29 MPG Hwy/21 MPG City!WHY BUY FROM USHere at Baxter Volkswagen Omaha, our commitment to our customers goes far beyond your initial vehicle purchase. We don't want you to just have a great buying experience at our Volkswagen dealership in Omaha, NE, we want to provide you with all that you need to have a wonderful life with your new car.OPTION PACKAGESVW CARE Volkswagen prepaid scheduled maintenance contract w/10,000-mile and 20,000-mile servicing for SUVs.Fuel economy calculations based on original manufacturer data for trim engine configuration. Heated Seats, Satellite Radio, VW CARE, Aluminum Wheels, Turbo Charged, Back-Up Camera, All Wheel Drive. FUEL EFFICIENT 29 MPG Hwy/21 MPG City!WHY BUY FROM USHere at Baxter Volkswagen Omaha, our commitment to our customers goes far beyond your initial vehicle purchase. We don't want you to just have a great buying experience at our Volkswagen dealership in Omaha, NE, we want to provide you with all that you need to have a wonderful life with your new car.OPTION PACKAGESVW CARE Volkswagen prepaid scheduled maintenance contract w/10,000-mile and 20,000-mile servicing for SUVs.Fuel economy calculations based on original manufacturer data for trim engine configuration. Heated Seats, Satellite Radio, VW CARE, Aluminum Wheels, Turbo Charged Engine, Back-Up Camera, All Wheel Drive. FUEL EFFICIENT 29 MPG Hwy/21 MPG City!WHY BUY FROM USHere at Baxter Volkswagen Omaha, our commitment to our customers goes far beyond your initial vehicle purchase. We don't want you to just have a great buying experience at our Volkswagen dealership in Omaha, NE, we want to provide you with all that you need to have a wonderful life with your new car.OPTION PACKAGESVW CARE Volkswagen prepaid scheduled maintenance contract w/10,000-mile and 20,000-mile servicing for SUVs.Fuel economy calculations based on original manufacturer data for trim engine configuration.